I finally feel like I’ve taken a little control of my life. In addition to working full time, I’ve also begun teaching courses during the semesters at the college level. While it may not seem like much to some, it means a lot to me as someone who hasn’t gotten a lot of respect as a staff member at a university. Having to teach outside of my “day job” has forced me to get myself together, and I finally feel like I have some structure and schedule happening. Tuesday morning I woke up, made coffee, showered, got dressed, made a smoothie, put on make up and dried my hair, put a Paleo meatloaf in the Crock Pot, and then left for work with a gym bag and a packed lunch. Boom. About 2:30 pm, I took about 45 minutes to do Week 2, Workout 1 of the Zombies! Run 5K plan. So far I am really enjoying it and haven’t had any knee issues due to running. Fingers crossed. The meatloaf turned out tasty. 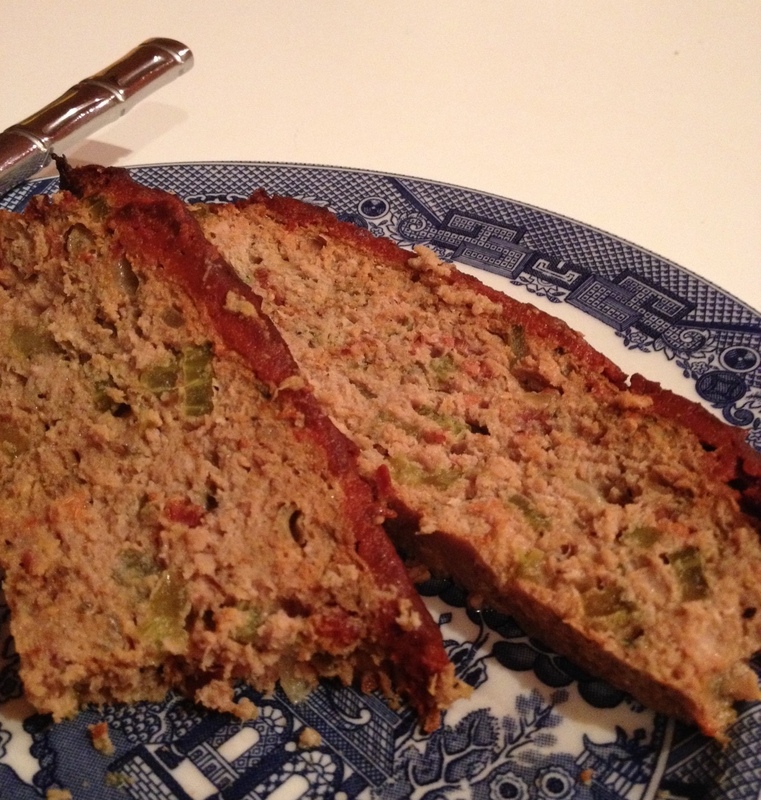 I am not a fan of meatloaf, but this one was pretty good. It is made with ground turkey, which was on sale for $3.99/lb at Kroger. By the way, the coupons that you load onto your Kroger card are just wonderful. And sometimes a surprise when you forget that you loaded some on! Yesterday morning I made coffee, showered, got dressed, put on make up and dried my hair, ate half a banana, and grabbed my already packed last night lunch. It was a rest day for Zombies! Run, which was good because it was insane at my office, and I am still working on the online class I’m teaching this semester. I had to record a video introduction, and if you know me, you know that I get nervous in front of a camera. Even talking about stuff that I know like the back of my hand. Embarrassing, I tell you. I picked up this fun “Tupperware” sectional at the Winchester Farmer’s Market in Memphis. Not only do they have inexpensive and exotic produce, they also have every kind of Asian sauce available, cheap spices (I bought a pound of Garam Masala for $4.00), and a section for dishes, cooking utensils, pots, pans, tea sets, etc. I LOVE that place. 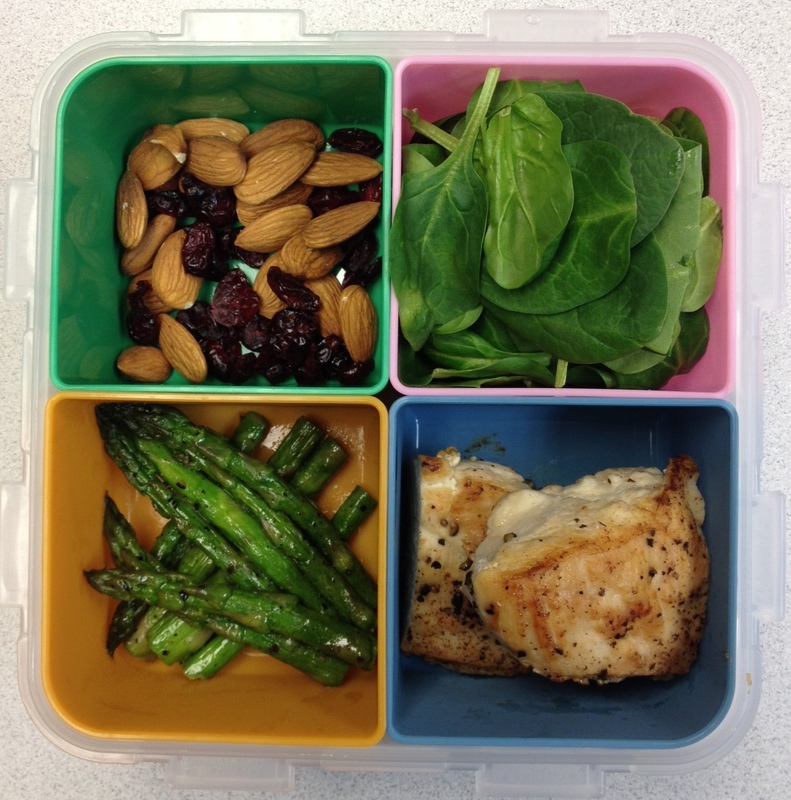 For lunch yesterday I had a chicken breast, leftover sautéed asparagus, some spinach, and almonds and craisins. Today I made it to work even earlier than usual, but still 10 minutes late. Go me. I packed up my lunch last night and will be doing Week 2, Workout 2 of Zombies! Run today. OH JOY, I almost forgot: I lost 3 pounds over the last week. This time I left out the craisins because they added 17 g of sugar. Wow, I had no idea. 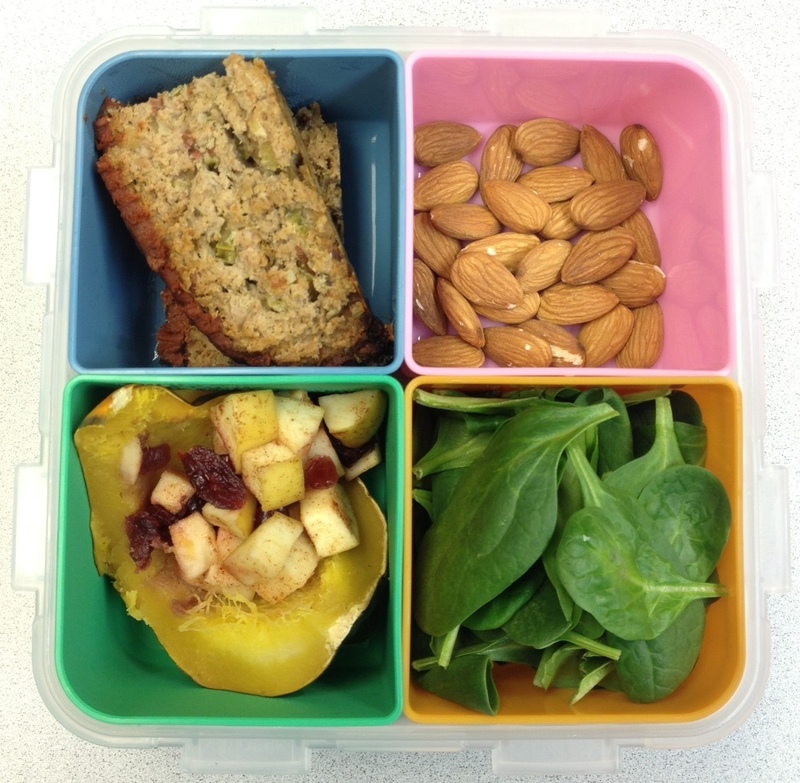 Today I had leftover meatloaf, almonds, spinach, and 1/4 of the stuffed acorn squash I made earlier this week. It has craisins, apples, and cinnamon inside. There were probably 6 craisins in the squash, so not nearly as sugary as yesterday. I hate the word craisin. Just say it out loud. Craisin.